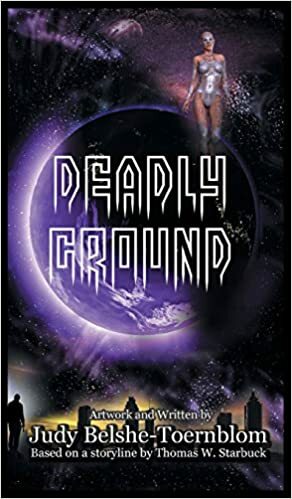 “Deadly Ground” – a riveting story about the human race under threat, with a rare DNA condition providing a second chance for humanity. A fast-paced novel that reads like an apocalypse movie with a biological viral disease, some romance, and aliens in the mix, centered on the unforgettable human main character AB, who becomes the hope for humanity’s regeneration. By author Thomas W. Starbuck, whose storyline for “Deadly Ground” was adapted and written by Judy Belshe-Toernblom. This book is basically about the end of the world, written from the authors’ perspective. The story is interesting as I find AB to be a character that makes you want to read the book further. With a little bit of sci-fi, fantasy, post apocalyptic, and romance, it all boils down to whether your genes could save you or not. If you like stories with aliens in it, you’ll love to read this book. A fast read and definitely a page turner. I would give it a 4 star. I’m so glad you enjoyed ‘Deadly Ground’!